This week, gamers on both Windows 10 PCs and the Xbox One will start receiving a boatload of new gaming features that will roll out over the coming days as part of their respective Insider programs. PC gamers arguably have the most to get excited about. 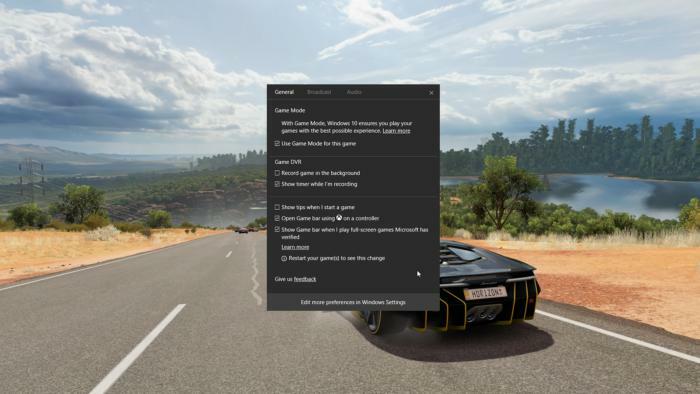 A Game Mode to custom-configure your PC for games, a new dedicated Games menu within Windows 10’s Settings, and Beam game livestreaming will form a trifecta of improvements. Xbox owners have already seen Microsoft roll out more general UI improvements to the Xbox dashboard, plus an aggressive new program to segment Xbox users into four different grades of access. With the new updates, Microsoft has upgraded the Cortana digital assistant with new commands and added a Screentime feature that can manage the time that kids use the Xbox. While this is all part of the new Creators Update, any time Microsoft releases new features specific to gaming it’s worth getting excited about. More specifically, these new capabilities aren’t necessarily designed to tie the Xbox to Windows—a somewhat controversial subject for PC gamers worried about un-moddable PC games—but instead focus on improving the individual platforms. In the Silver Age of PC gaming, gamers tweaked HIMEM.sys files and custom-designed AUTORUN.EXE files to turn off anything that wasn’t necessary to run Doom and other DOS games at the highest performance possible. The new Game Mode for Windows 10 looks like it takes the same approach. How much extra performance will WIdows 10’s new Game Mode be able to eke out? That remains to be seen. In a video, Microsoft explains that the goal is to increase both your PC’s peak frame rate while playing a game, and the average frame rate, too. Eventually, the goal is to trigger Game Mode automatically. But it’s also possible that not every game will work right away, Microsoft adds. To enable it, you’ll need to trigger the Windows Game bar (WIN + G) and enter Settings. At this point, Microsoft says, you can opt in the current game into Game Mode. It appears this setting will be live soon, whenever the new build is released. Over time, Microsoft has turned Settings into a front page of sorts for tweaking controls for certain tasks—moving display resolutions out of its former home in the Control Panel, for instance. Gaming apparently will receive the same treatment. PC gamers will need to become familiar with Windows 10’s new Gaming controls. The Gaming section of Settings uses the familiar Xbox logo. Within it, you’ll find controls for the Game bar, the GameDVR feature, Beam broadcasting, and more. The Gaming section will remain in flux, Microsoft said, as it makes further tweaks. It sounds like you might see specific controls for joysticks and other peripherals here in the future, for instance. Microsoft and its subsidiary, Beam, have been busy discussing the improvements behind their entry into the game-streaming space, competing with Twitch and YouTube. The new 1440p Beam streams are apparently live, and you’ll be able to take advantage of the Game bar to begin streaming from Beam on the PC, with Xbox One support coming soon. According to Microsoft, the streams will have less than a second of delay, meaning that streamers will be able to chat with their fans essentially in real time. Microsoft hopes that Beam becomes the new Twitch of the Xbox One and even the Windows 10 PC. 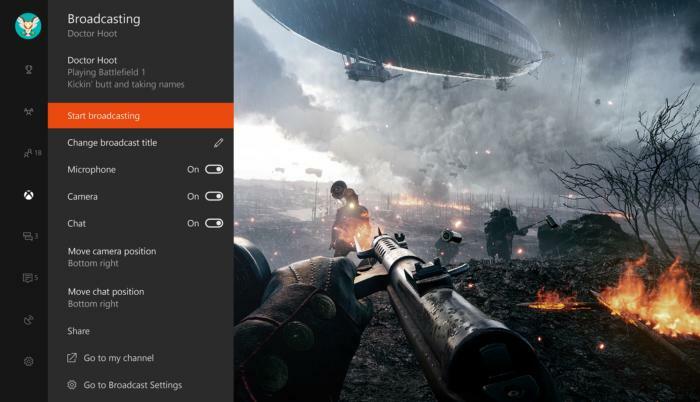 Eventually, Xbox users will be able to stream from the Guide navigation bar, with the management controls and chats available as overlays (as opposed to snapped windows). This story was updated at 9:33 AM with comments from Microsoft’s Larry Hyrb about the new build’s delay.